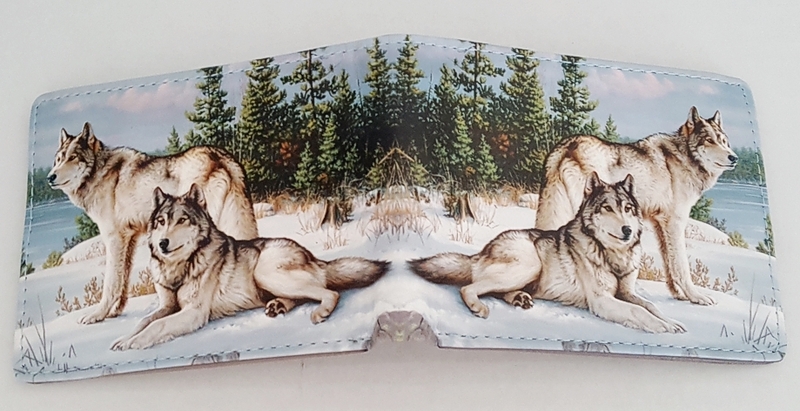 The licensed artwork on this Wolf Bifold Wallet is called Watchful Pause by the Hautman Brothers. The Wolves and the lakeside scene are gorgeous. 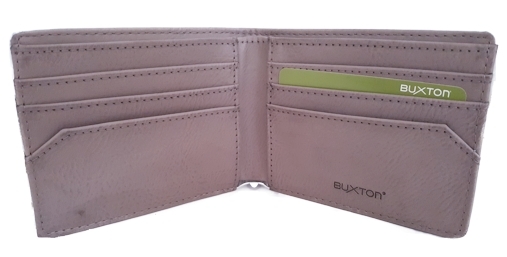 This Wolf wallet features a lined currency section with divider, 6 credit card slots, 2 utility slip pockets and RFID protective lining. It has a distressed leather look. This would make a wonderful Wolf gift.